My interest in gambling is broad, including regulation issues and problem gambling, but with a focus on the cultural roots of gambling and its social contexts. Here is a list of my research projects and interests since I started to study gambling in 2001. None of my research has been funded by gambling companies or organizations with commercial interest in the gambling sector. All funding has come from government agencies and research/public benefit foundations. The Regaps program aims to offer analyses which foster the improvement of Swedish responses to problem gambling. The research consortium is also committed to fostering a critical perspective on epidemiology and treatment service studies. It will also contribute evidence which would point future policy toward greater social re-inclusion as well as more effective reduction of problems caused by gambling. Project coordinator: Jenny Cisneros Örnberg. Program members: Kristina Sundqvist, Eva Samuelsson, Peter Wennberg, Jukka Törrönen, Robin Room, Ludwig Kraus, Anne H. Berman, Ingeborg Rossow, Rachel Volberg and Per Binde. My role in the project is mostly advisory. Regaps is based at the Department of Public Health Sciences, University of Stockholm. The Swedish Longitudinal Gambling Studies (Swelogs) is coordinated and financed by the Public Health Agency of Sweden. Wave four of the epidemiological (EP4) study has a sample of about 5.000 individuals, with a response rate of circa 50%. The survey includes a number of questions on gambling advertising and marketing. In collaboration with Ulla Romild, who is project manger for Swelogs and statistical expert. I will analyze and discuss the responses to these questions, in relation to selected demographic and other variables. Another topic that we will analyze is gambling participation and problem gambling in different occupational groups. We will use data from the most recent population study in Sweden (Swelogs 2015), which includes SSYK-codes (Swedish Standard Classification of Occupations) from the register of the population. Knowledge about which occupational groups that have an over-representation of heavy gamblers and problem gamblers is useful for prevention. I will also review the literature on selected issues, such as the conceptualization of gambling harm and the possible connection between RTP (Return-To-Player) and problem gambling. This review critically examines research on gambling advertising and presents recommendations for future studies. The focus is on the feasibility of various kinds of studies. Methodological issues and the potential of research approaches to produce reliable and useful results are discussed. The review was commissioned by the Responsible Gambling Trust (today operating under the name GambleAware) in the UK and completed in early 2014. Report Gambling advertising: A critical research review. This is a study of a mutual support group for young problem gamblers (Syna korten) in Gothenburg, Sweden. The study is based on interviews and naturalistic observation of the weekly meeting of the group. Included in the study are also the primary and secondary preventive efforts, targeting students and young adults, which are linked to the mutual support group. The empirical part of the study was concluded in the summer of 2009. Research was funded by the Swedish National Institute of Public Health (succeeded by the Public Health Agency of Sweden) and the Swedish Inheritance Fund. The results have been published in a book in Swedish (2010) and two articles in the International Journal of Mental Health and Addiction. The Swedish Longitudinal Gambling Studies (SWELOGS) are planned to include a series of national prevalence studies from 2008 to 2014. SWELOGS will also include in-depth studies of problem gamblers. This ambitious research venture is financed and coordinated by the Swedish National Institute of Public Health (succeeded by the Public Health Agency of Sweden). 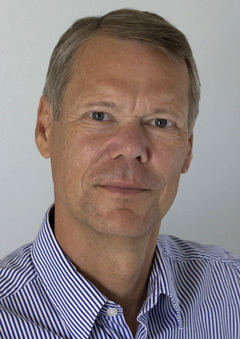 Per Binde is currently member of the advisory group of SWELOGS and worked part time 2008-2009 with various research task in the SWELOGS team. The Swedish Longitudinal Gambling Studies (SWELOGS), conducted by the Public Health Agency of Sweden, will not only measure the extent of problem gambling, but aspire also to identify risk factors of problematic gambling. Taking a broad approach, social and cultural models of gambling involvement will be considered. Being part of the preparation for the analytical work of this second generation prevalence study, this research assignment amounts to a comprehensive review of social science and economic theories of gambling and a consideration of their relevance for this specific purpose. – The possible impact of gambling advertising on the extent of pathological and problem gambling. – Has gambling advertising an effect on the extent of gambling in general or does it primarily affect the market shares of competing gambling products? – The ethical issues with respect to gambling advertising. – Messages and values in gambling advertising. – The psychology of gambling advertising. The research project “The Symbolism and Morality of Gambling: Anthropological Perspectives on Gambling in Contemporary Sweden” (2001-2003) was funded by the Bank of Sweden Tercentenary Foundation. The project was coordinated by Åsa Boholm, professor in social anthropology at the School of Global Studies, Göteborg, and most of the research activities were carried out by Per Binde. Fieldwork with participant observation was conducted mainly in 2002. The project focused on mainstream gambling, as distinct from problem gambling. Gambling is viewed as a part of our culture. Gambling connects with notions of fate, the unknown, and transcendence of the everyday self; gambling creates social belonging and an is activity judged according to moralities derived from the dominating societal modes of reciprocity.